Just 41 percent of housing units in Beverly Hills are owner-occupied. Many of those units were built before 1995, which means most of that stock is eligible for rent stabilization. The Costa-Hawkins Rental Housing Act of 1995 barred any units built after that year from coming under rent regulations. In November, voters statewide soundly rejected a measure to repeal Costa-Hawkins. But in the months since, cities around L.A. have worked to strengthen rent regulations that apply to older buildings, or temporarily impose rent-hike freezes. 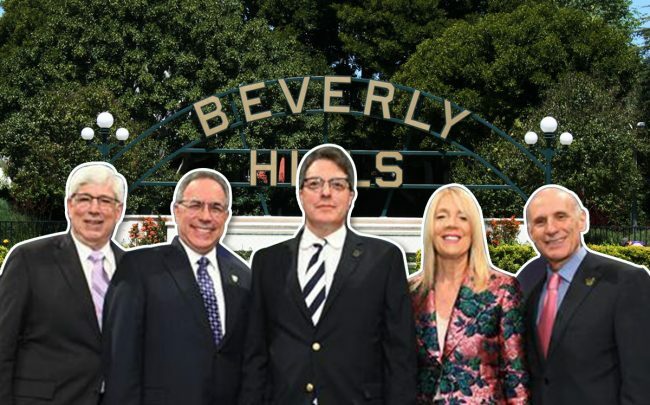 A short time before that Proposition 10 vote, Beverly Hills stepped up its ordinance again, requiring landlord pay relocation fees even for “just cause” evictions. Owners of multifamily buildings in the Westside enclave have fought hard against the city’s rent regulations, arguing they would spur more conversions to condos, which would force mom-and-pop owners out of the market. Though Beverly Hills has a median household income of nearly $104,000, nearly 1 in 10 residents live below the poverty line, according to U.S. Census information from 2017. Still, the city’s median monthly rent stood at around $2,000 between 2013 and 2017. That was about 63 percent higher than the median rent in the city of L.A. during that period, which was $1,300. Beverly Hills also has a substantial number of renters. Mark Elliot, founder of the Beverly Hills Renters Alliance, said that around 7,700 households — or half of all households in the city — fall under the rent stabilization ordinance. Now, much of the analysis and decision-making will rest with the new rent stabilization commission. It will be comprised of two landlords, two renters and two unaffiliated members. The commission will take over all rent regulation-related duties, including determining future rent hike caps. The commission will vote on new measures as recommendations to the City Council, which will make the final vote. The Council gave the new commission 10 proposals to review then submit their recommendations. Those include an increase in the amount of time a tenant has before being evicted, to six months from 90 days. It also includes a mandate that landlords pay relocation fees if they or a family member will take over a tenant’s unit. Not everyone is in favor of the rent stabilization measures because the ordinance applies to all rental housing, including those luxury units. “This measure protects people paying $10,000 per month for luxury properties,” said Dan Yukelson of the Apartment Association of Greater Los Angeles, a landlord advocacy group. Councilman Gold, who considers himself “in the middle” on the issue, said that could change in the future. The commission may consider a maximum monthly rent cap for rent stabilization protection. But, he cautioned, there were few units that would actually meet that number.